As we all know, with age comes wisdom, but unfortunately also wrinkles. While some like these wrinkles, others do not. Thankfully we can do something about these wrinkles in the form of wrinkle reducing injections. 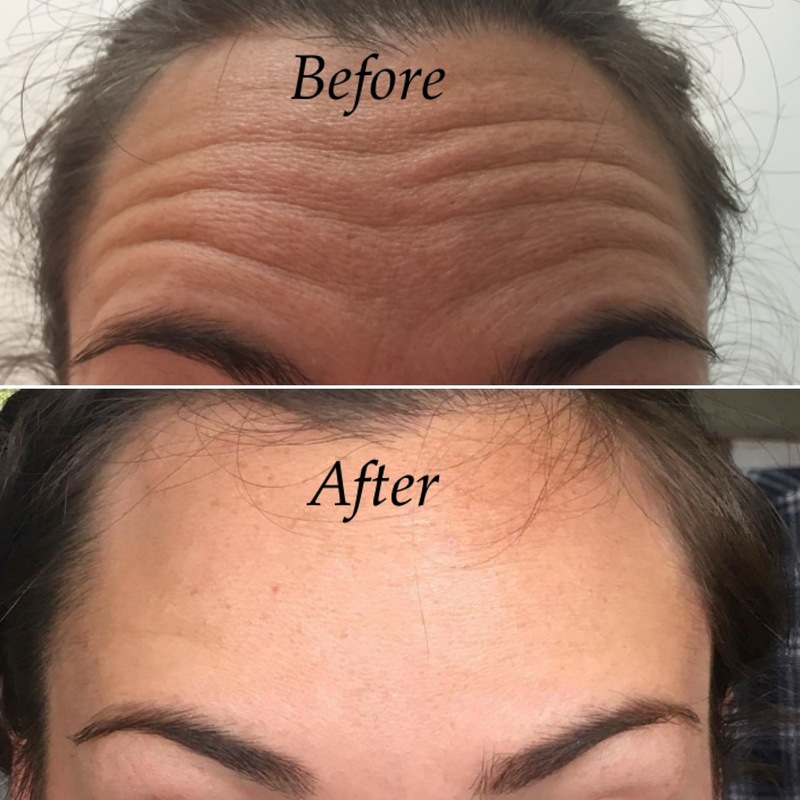 Small injections of botulinum toxin can be used to temporarily reduce these wrinkles and help create a smoothing effect. With repeated injections, a few months apart, we can aim to stop these wrinkles returning. AM I SUITABLE FOR WRINKLE REDUCING INJECTIONS? Prior to any treatment you will be asked to fill out a medical questionnaire and will have a consultation and targeted facial examination to ensure your suitability. We will also need to know all medications you are prescribed, so it can helpful to take a list of these along to you appointment. DO YOU OFFER A FOLLOW UP APPOINTMENT? Yes, for wrinkle reducing injections we offer a follow up appointment at two weeks to review the results of your treatment and make any adjustments if necessary. Please note this is not a ‘top-up’ appointment. Further treatment will only be given if clinically indicated. Follow up appointments will be offered two weeks after your initial appointment and must be taken by three weeks post your initial treatment. Only one follow up appointment will be offered. Like all appointments, 48 hours notice must be given to change this appointment. HOW LONG DOES IT TAKE TO SEE THE RESULTS? The results of these injections are not seen immediately. The effect becomes visible on average after 5-7 days, however can take up to two weeks to see. The effects of wrinkle reducing injections last, on average, for 3-4 months. However, some people find the results wear of sooner than this, and some people find the results longer that this. No guarantees are given as to the duration of effect you can expect to achieve. WHAT PRODUCT IS USED FOR WRINKLE REDUCING INJECTIONS? A reduction in wrinkles is achieved using the active ingredient Botulinum Toxin Type A. Several companies use Botulinum Toxin Type A and they all call their product different names. The common name BOTOX®, is actually a particular brand of Botulinum Toxin Type A. Other brands include: Azzalure, Dysport and Bocouture. All these brands contain the same active ingredient, they only differ in what the active ingredient is mixed with. If you would like a particular brand used for your treatment please let us know in advance. Azzalure or Bocouture are used as standard. Allergan is a more expensive brand to buy and as such incurs a £20 supplement. The common areas treated are frown lines (glabellar region), horizontal forehead lines (frontalis muscle) and crows feet (per-orbital lines). Additional, advanced, areas often treated include bunny (nose) lines, smokers (peri-oral) lines and chin dimples. Botulinum Toxin can also be used to create a slight eyebrow lift. The initial appointment for wrinkle reducing injections is 15 minutes.